Pioneers in the industry, we offer load cell for packaging machine, load cell for bagging machine, miniature s beam load cell and s type load cell from India. We provide our quality clients Load Cell for Packaging Machine. We also offer a wide range of Load Cell for Bagging Machine to our clients. 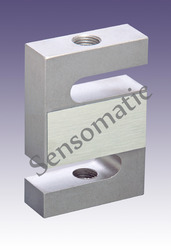 We are offering a wide range of Miniature S Beam Load Cell. Looking for Dynamic Load Cell ?